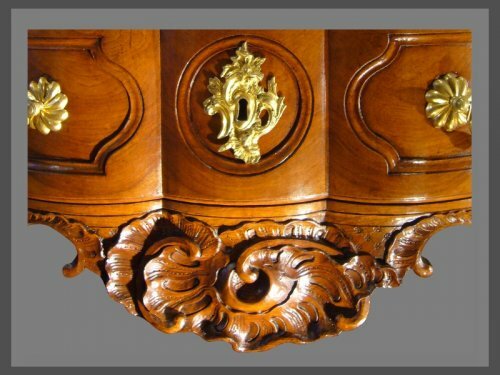 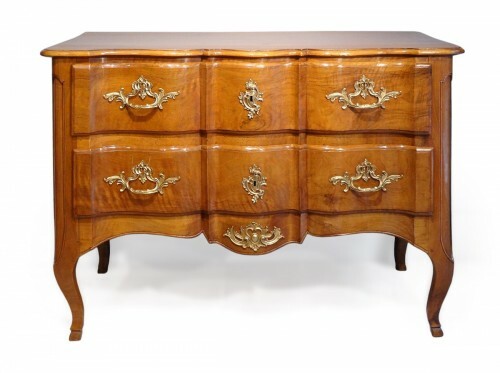 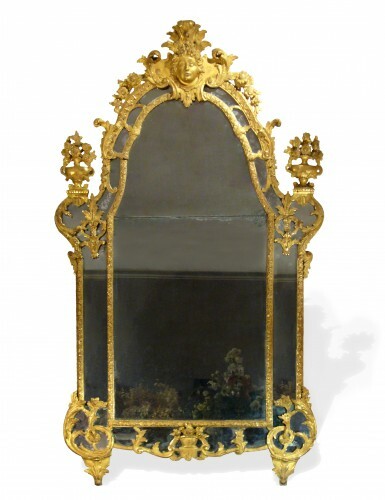 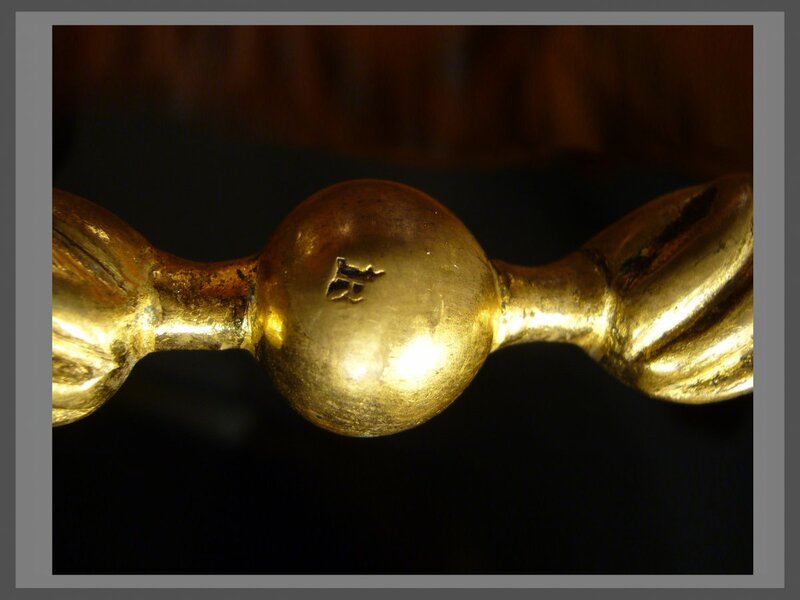 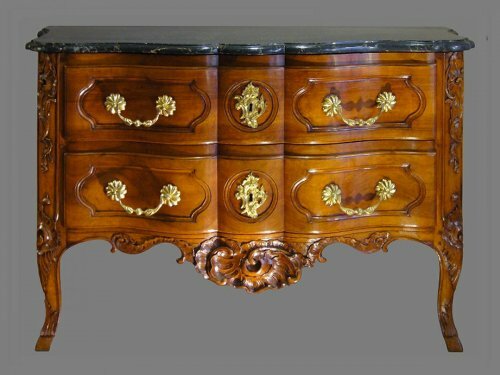 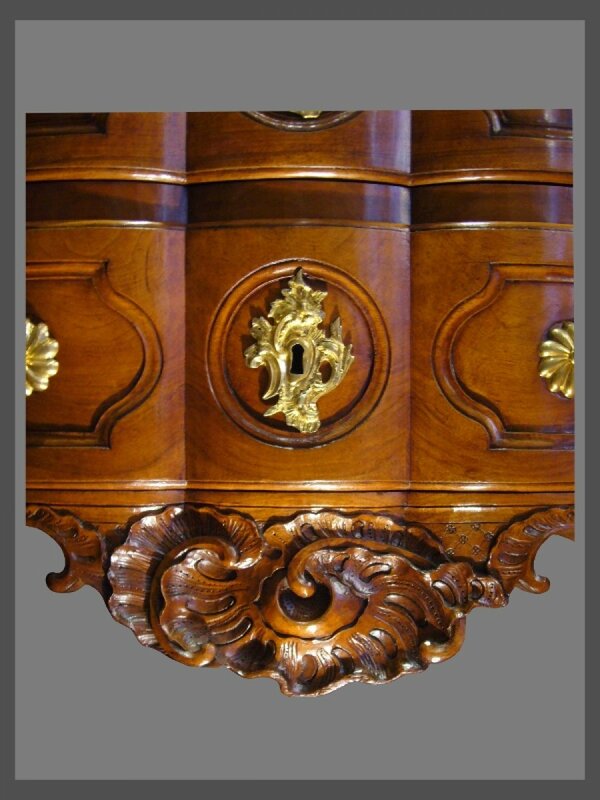 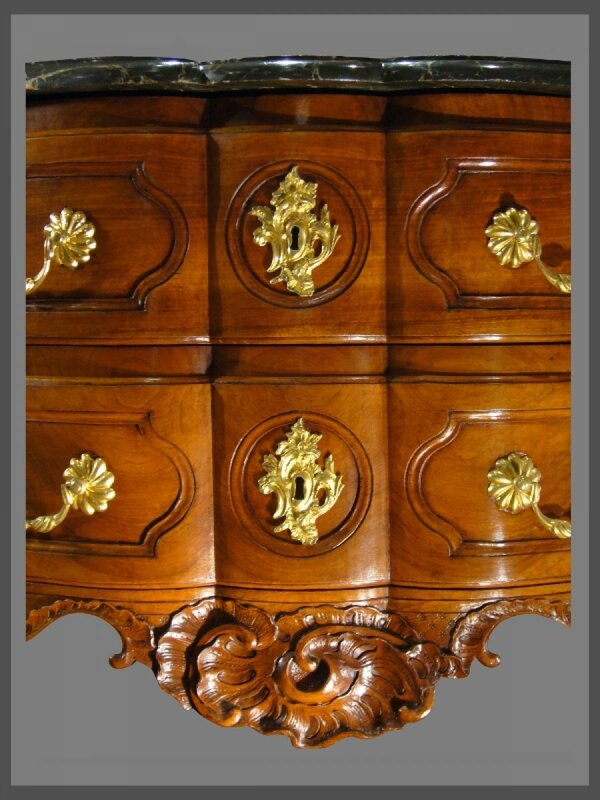 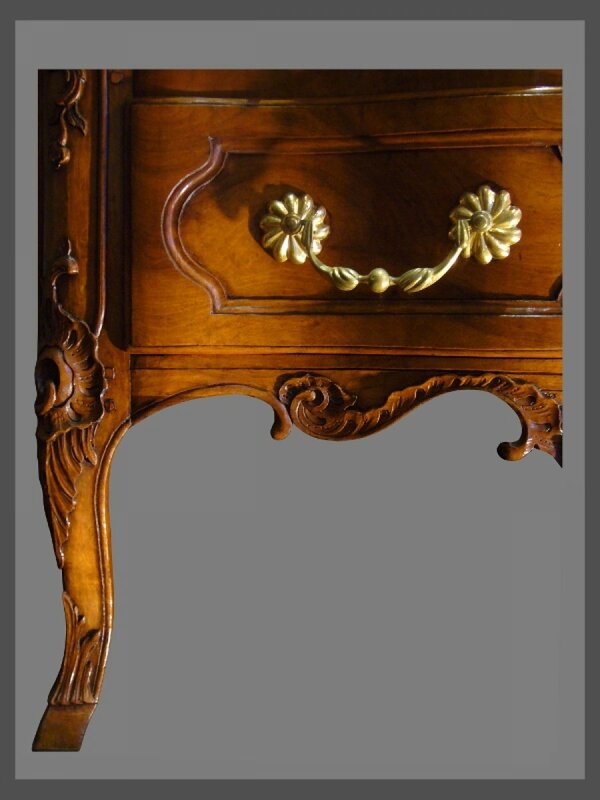 AnticStore > Catalogue > Furniture > Commode > Louis XV > 18th century > An exceptional crossbow shaped solid blond walnut commode. 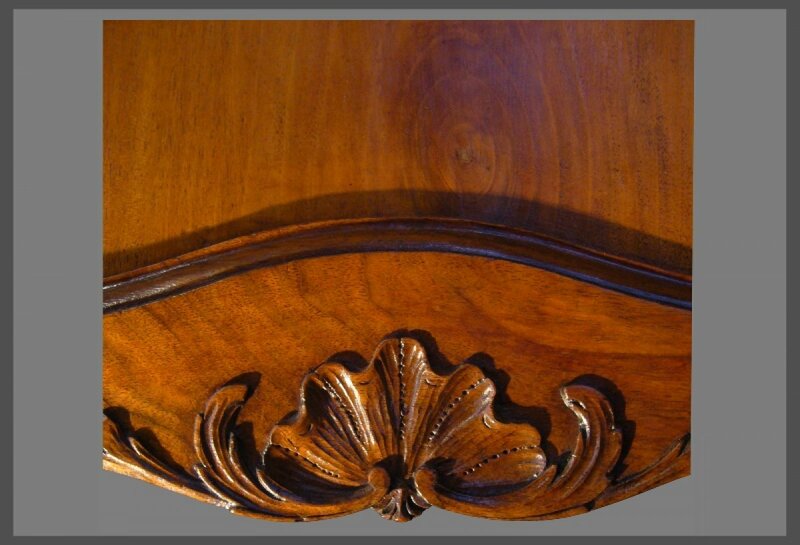 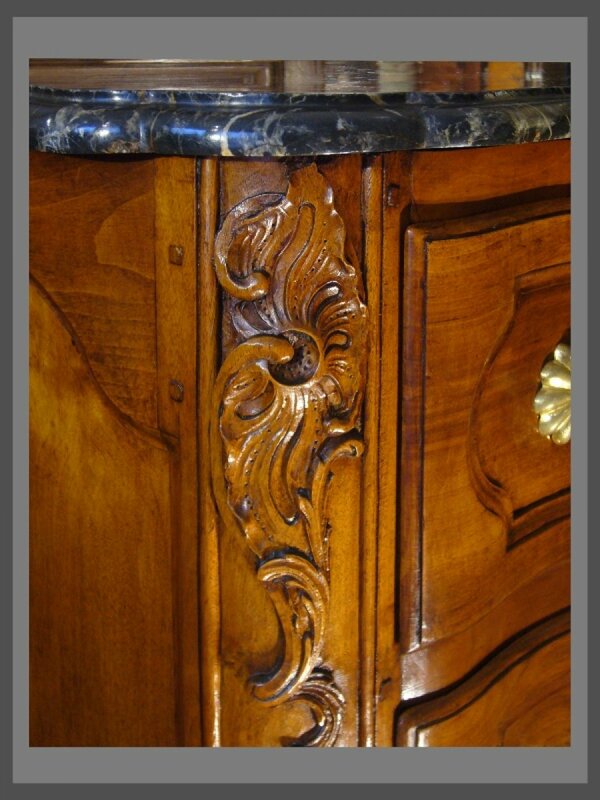 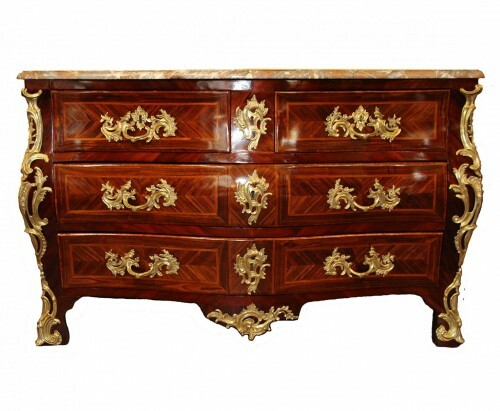 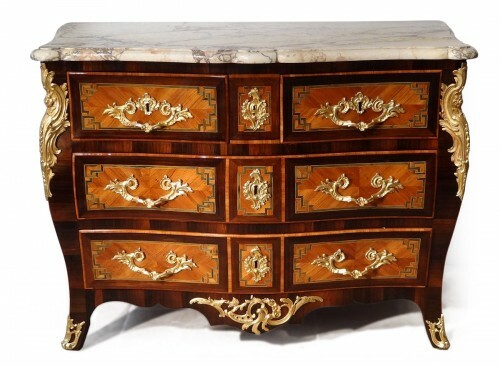 An exceptional crossbow shaped solid blond walnut commode. 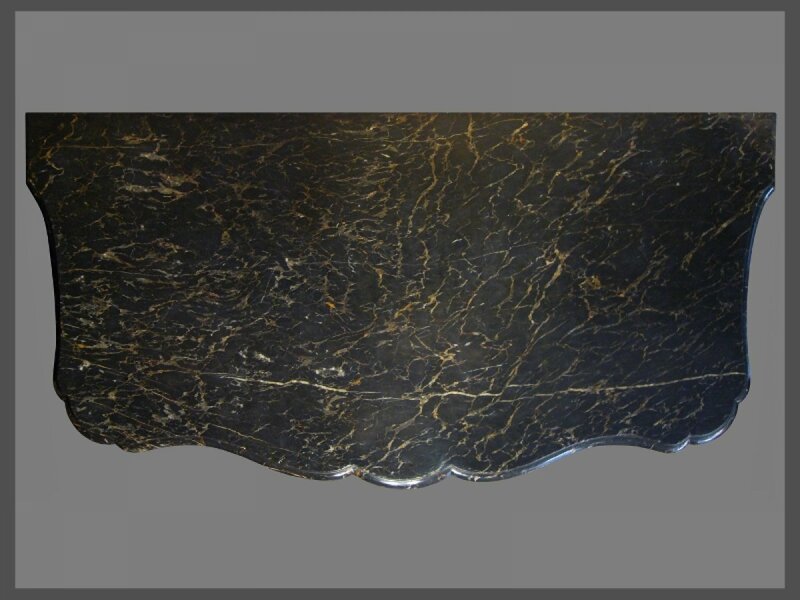 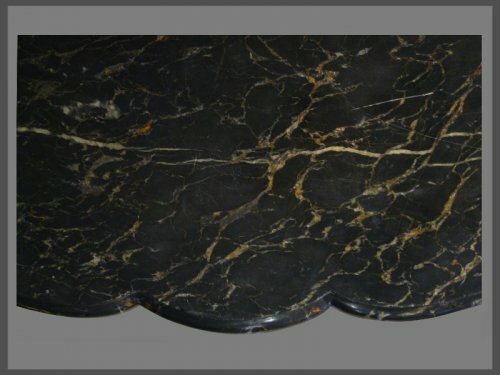 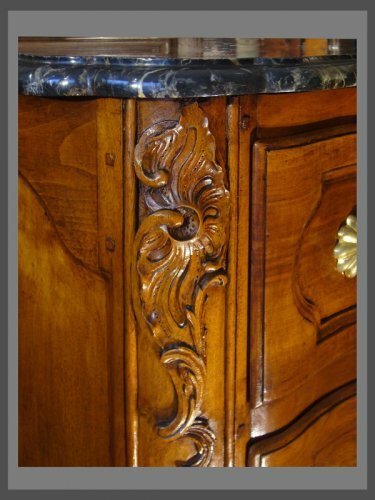 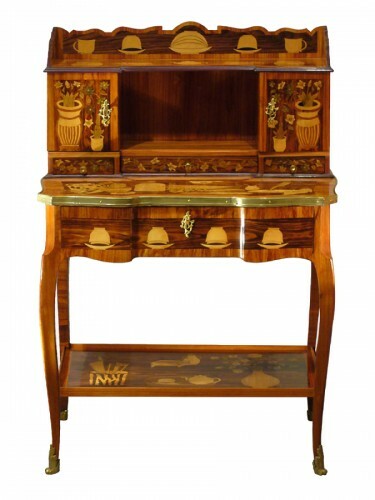 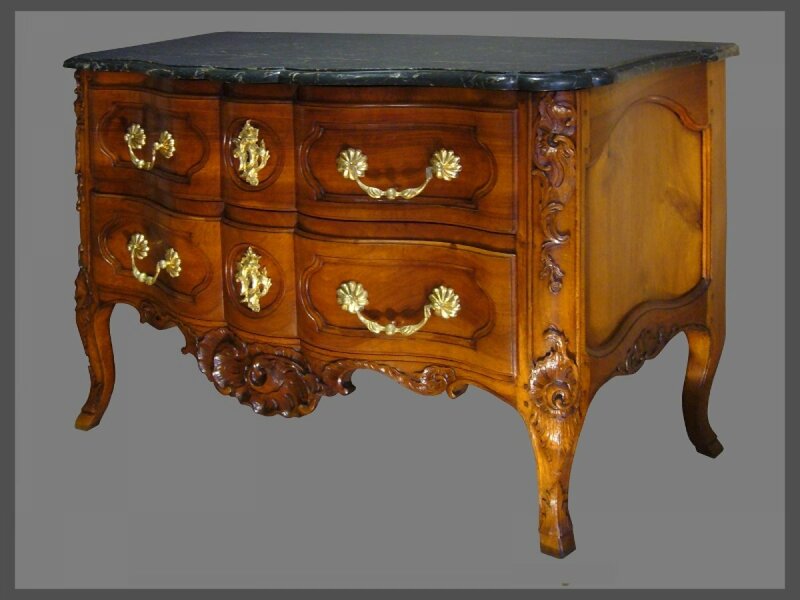 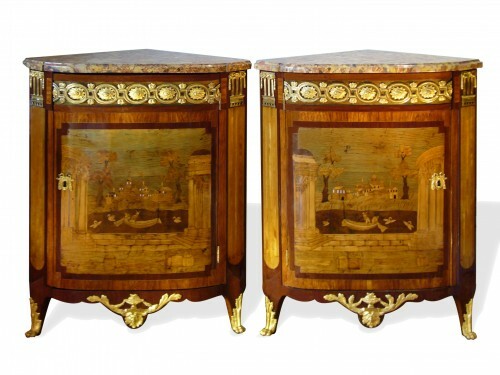 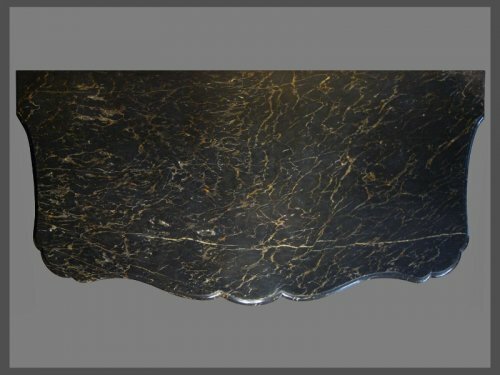 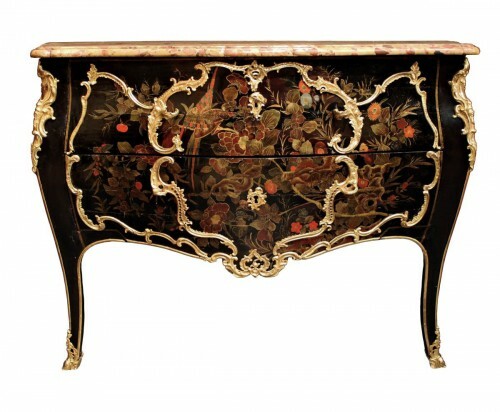 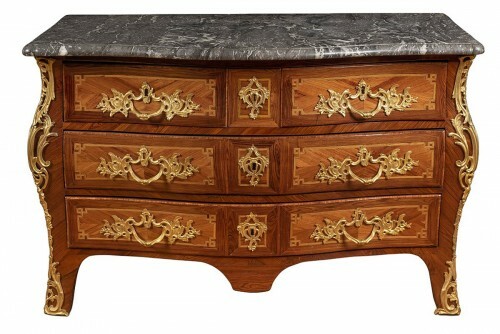 The noir Saint-Laurent marble top above two large drawers, with a carved decoration of shells and leaves and ormolu-mounted bronze handles and keyholes (one with the rare ‘R Couronné’ stamp, on four cabriole legs terminating in hoof feet.